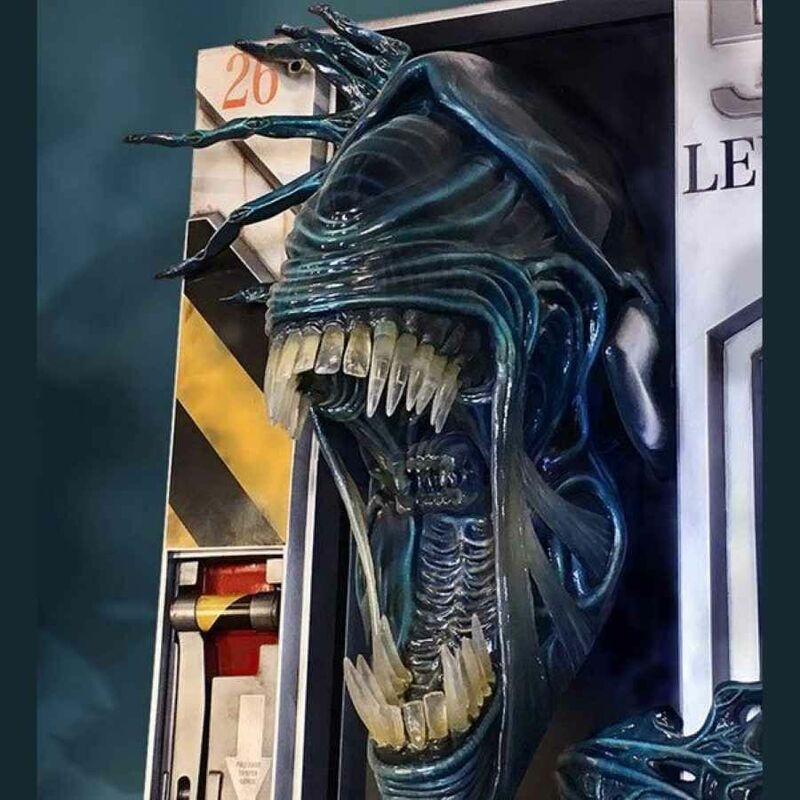 This impressive and highly detailed life size Alien Queen wall sculpture pays homage to the battle between Ripley and the Queen in the film Aliens. 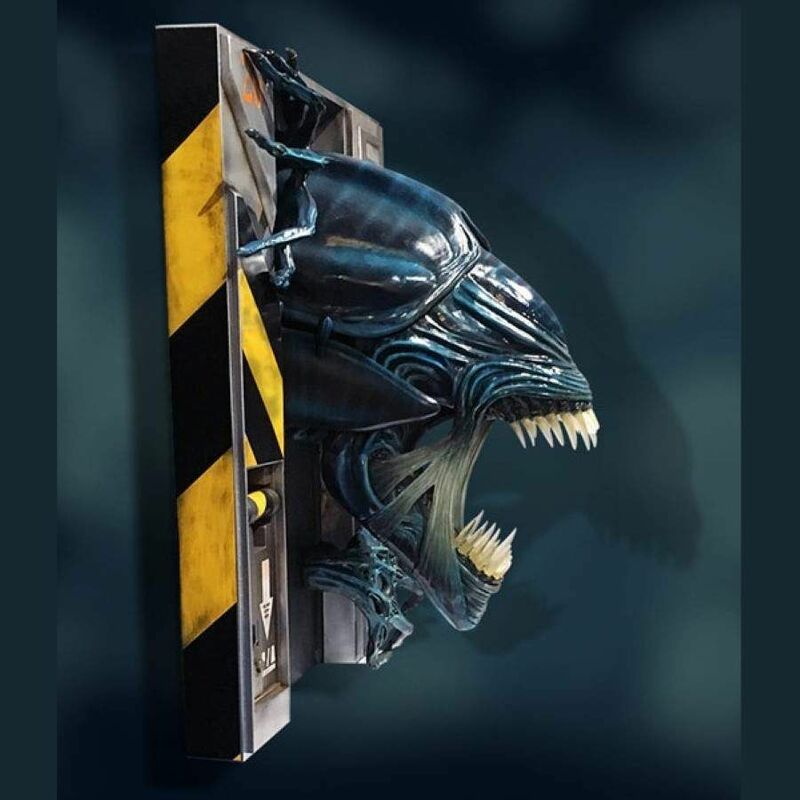 Hollywood Collectibles Group are proud to introduce this Life Size Officially Licensed Alien Queen wall sculpture. 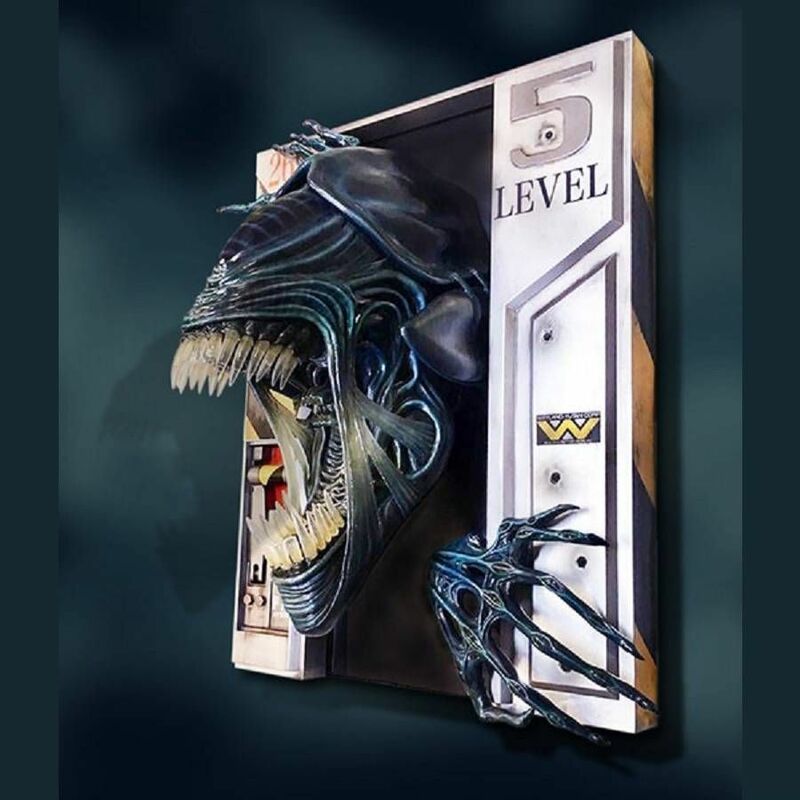 This stunning and spectacular life-size wall display measures in at an impressive 37"H x 32"W x 20"D and is a tribute to the terrifying Alien Queen as seen in James Cameron's film Aliens and relates to the iconic moment where Ripley battles it out with the Queen in the final and climatic scene. 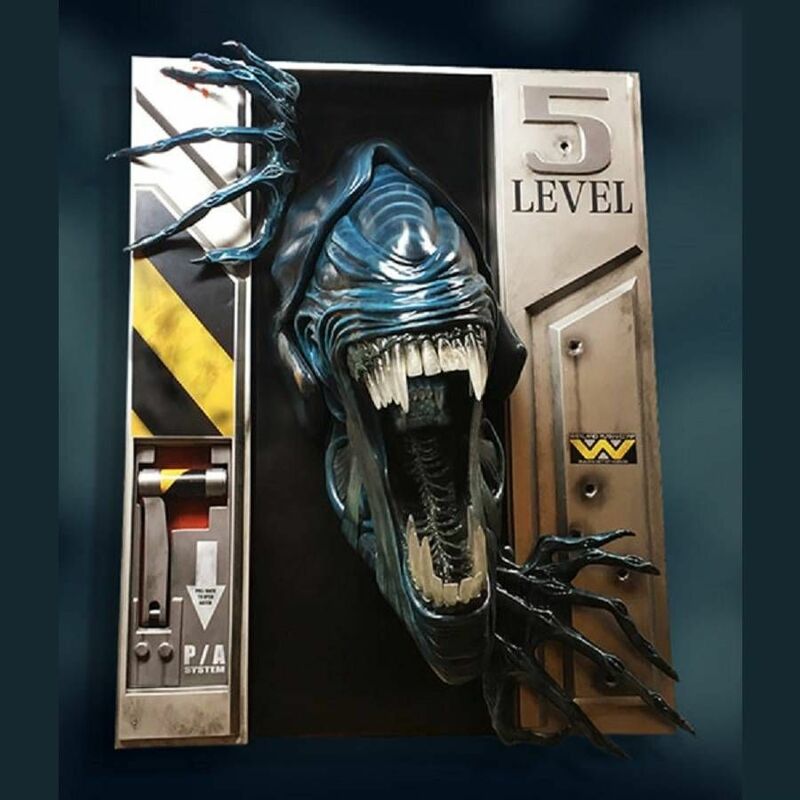 Fans will love this magnificent centerpiece and it will be a great addition to anyone's collection. 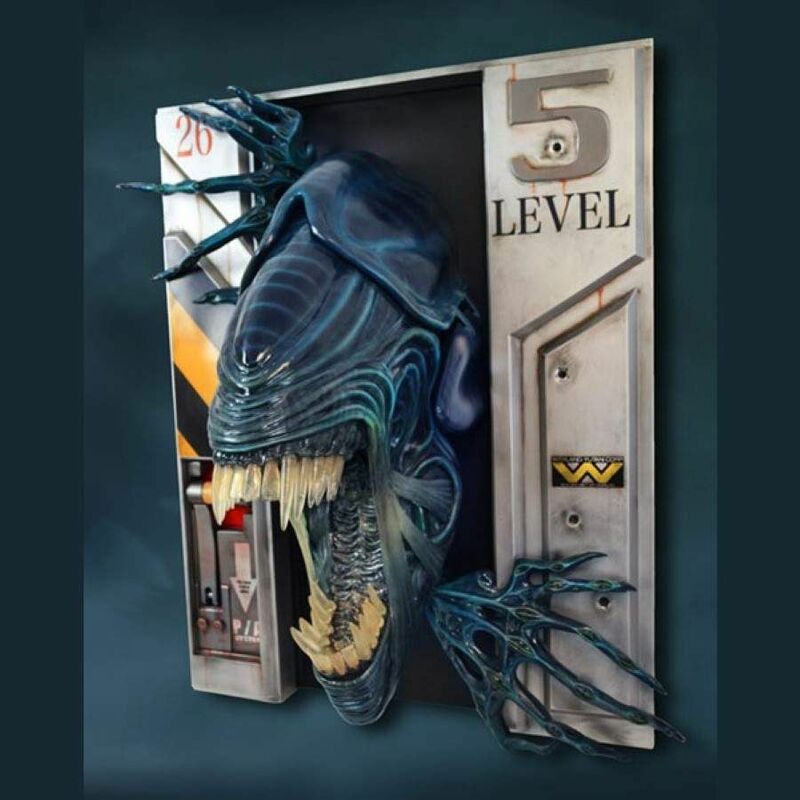 As with all Hollywood Collectibles products, this is an intricately detailed Museum Quality piece which has been constructed using fiberglass and mixed media and hand painted with the finest detail.